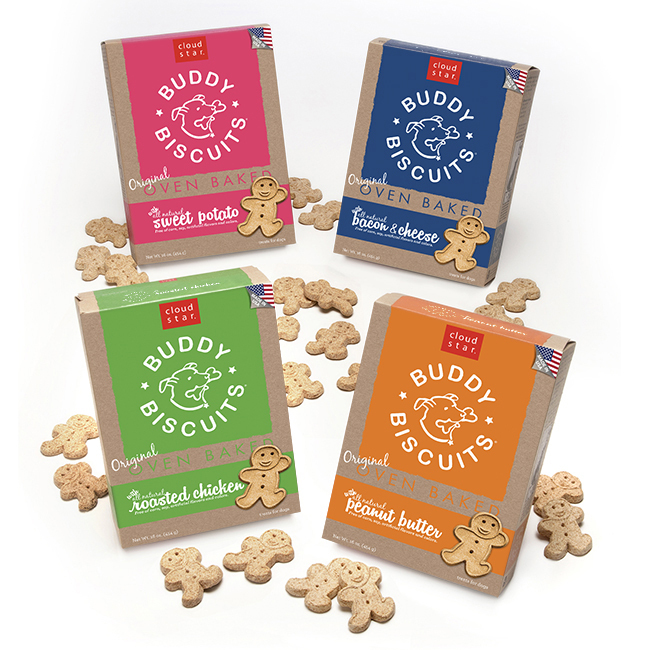 Buddy Biscuits are all natural dog treats with simple and wholesome ingredients. Dogs with sensitivities or allergies are safe to eat these all natural treats because there are no corn, yeast, sugar or artificial flavors or preservatives. These treats are proudly made in the USA and sold at Lochte Feed and General Store. Give your dog the best. Treat them with Buddy Biscuits. Stop by Lochte Feed and General Store in Fredericksburg, TX for all your pet food, treats and supply needs. We carry a varieties of natural and grain freed pet foods. Not sure if we have what you need? Give us a call at (830) 997-2256. This entry was posted on Friday, February 17th, 2017 at 1:16 pm	and is filed under News & Updates. You can follow any responses to this entry through the RSS 2.0 feed. Both comments and pings are currently closed.